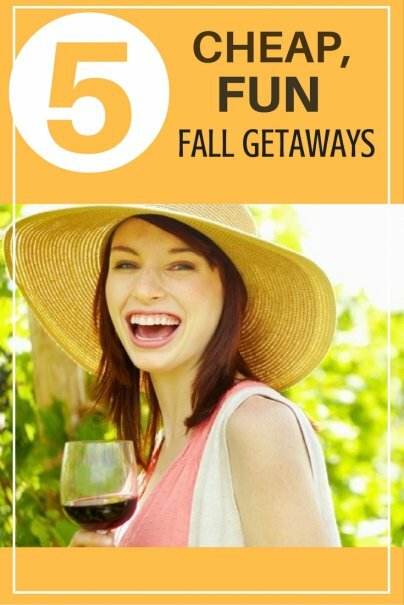 It's peak fall harvest season in wine country, which makes it an ideal time to go. Most of the Napa and Sonoma Valley tours are less than $250 (for two), offer free transport from San Francisco, come with a free meal, and include a visit to two or three wineries with food and wine pairings. Napa Valley Wine Trolley, Dynamic Napa Wine Tours, and Wine Country Tours Shuttle all come in under your $250 budget. Snag yourself a lakeview room at an area resort in Big Bear Lake for $89 to $150 per night. While many of the area lodging accommodations don't have on-site dining, some offer suites with full kitchens, living, and dining areas. Fun area activities include mining, aerial and segway tours, water sports, fishing, ziplining, and "funplexes." For a two-day getaway, you'll stay well within your budget. Amtrak offers a scenic West Coast shoreline getaway; the Coast Starlight. This train runs daily from Los Angeles (LAX) to Seattle (SEA, SVF) and passes through the majestic coastal towns of Santa Barbara, the Bay Area, and Portland. Travel time for the entire trip is roughly 35 hours. Tickets cost under $150 per person and include sleeping car cabins, or roomettes, which are a part of service. Business class can accommodate two for around $600, while a family room that sleeps four is under $1,000. Business class travelers receive free Wi-Fi, complimentary bottles of water, and a $6 coupon redeemable towards the purchase of food and beverages. And if you reserve a sleeping car, all dining car meals are on the house. I can tell you, the food is catered and quite good; it's well worth the extra cost! From September 25th through November 26th, Walt Disney World is hosting its International Food & Wine Festival at Epcot World Showcase in Florida. Tickets are $96 per person for an all day pass. A stay at nearby resorts ranges from $162 for a moderate resort to $284 or more for a deluxe resort. Budget accommodations start at $85 per night. Lake Buena Vista is also home to stretches of white sand beaches and world-class golf courses. Okay, this one isn't frugal at all. But if you have fine taste and a budget to match, for $2,000-$2,500 per night, Twin Farms in Royalton, Vermont is the ideal fall destination. This five-star, all-inclusive bed and breakfast situated on 300 acres overlooks Silver Lake and has 20 guest accommodations. The amenities include a gym, pool, and luxury spa, as well as kayaking, yoga classes, fishing, hiking, biking, games, tennis, and daily farm-fresh meals prepared by Chef Nathan Rich. What are some of your favorite fall getaways?